This set of images of cemeteries concludes with two that are not from a cemetery at all, but rather from the shell of the Portumna Castle. 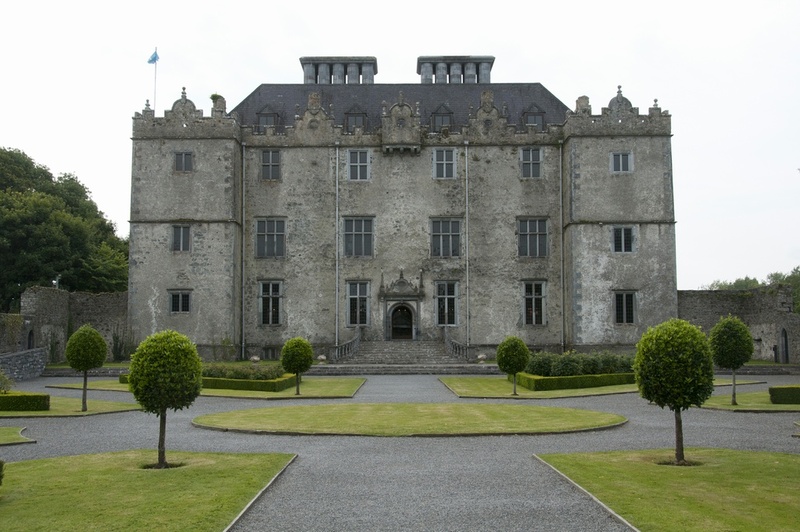 Portumna Castle on the northeastern shore of Lough Derg is actually the ruin of an Elizabethan mansion that was gutted by fire in 1826, leaving only the outer walls intact. Ireland's Office of Public Works (OPW) is in a decades-long, painstaking process of restoring the mansion, but budgetary issues will probably extend the effort for decades before completion. Found early in the effort, though, was the grave of a treasured pet, the dog "Fury," and Fury's remains constitute the most touching part of the mansion's current displays.